Well, I almost did it—forgot my day to blog. There I was yesterday, enjoying a second cup of morning coffee, browsing through my email, when all of a sudden I said, “Wait. It’s not next week I blog, it’s tomorrow!” Ackk. If you’re like me, the week between the holidays can seem a bit…disorienting. The other day, I was sure New Year’s Eve fell on Tuesday and that Wednesday the 1st was not my blog date but a week later. Wrong. Still, in spite of my brief lapse, 2019 is starting out right! 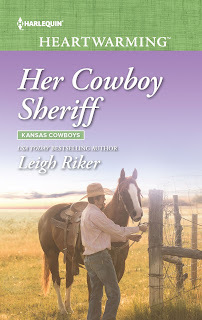 January 1st was also the release date for HER COWBOY SHERIFF. In this fourth book of my Kansas Cowboys series, after suffering a double tragedy in Chicago ex-cop Finn Donovan has left the big city, and his job now as a Kansas sheriff suits him. Not much happens in the rural town of Barren where Finn plans to keep to himself while he tries to deal with his overwhelming grief. Annabelle Foster certainly won’t get in his way. She’s been stuck in her family's local diner for most of her life, and as soon as it sells she’s planning to leave to see the bigger world that gave Finn such a dreadful kick in the seat of his pants. But a charming three-year-old named Emmie just may change all their plans. Why was he telling her all this? He couldn’t take it back. But no, she came toward him, letting the cold hit her like a slap and penetrating the pretty dress she’d worn for Thanksgiving and…before the thought could make itself known he’d turned to her, before he could keep from letting her see the devastation that must show on his face, before he could step away from her embrace. And then her arms were around him and she was weeping too. Finn tried to brush the tears from her cheeks but they kept coming like his, and he stopped wondering when she would leave Barren and the diner and Emmie behind, and all he could think of was being here with her on the freezing-cold porch with the oh-so-welcome heat of her against him. He should pull away. “Annabelle,” he began, but she raised her face to his, looked into his eyes for what seemed to be a long moment. Then her lips met his and they were kissing and Finn couldn’t think of a single reason why they shouldn’t. For the first time, he wished Annabelle would change her mind about leaving…and he could feel what it would be like to really care about someone again. If he dared. I hope you enjoy this newest Kansas Cowboy. Happy New Year, everyone! Did you make any resolutions for 2019? Pick a word to focus on this year? Or maybe start a jar to fill with daily blessings? How do you start out? Oh, I love this excerpt! Happy New Year, Leigh. Thank you , Liz. And a bright 2019 to you! A wonderful scene, Leigh! I’m glad you remembered in time! :) All the best with this new book and for 2019. Happy New Year to you, too. Lovely scene in your new book. Congratulations! I’m so glad you enjoyed it, Virginia. All the best for this new year! Leigh, I loved the book. I spent New Year's Day reading, so now I'm ready for next month's subscription. Happy New Year all. Oh, thank you, Roz. It was lovely to see you in Denver last summer. Congrats on your release!! I hear you on calendar confusion. I have all my days of the week mixed up this week, especially since my youngest just went back to school today...a Wednesday instead of a Monday. My brain is jumbled lol. I had to put a reminder in my phone or I would have forgotten all about school! I was convinced yesterday was Sunday! It’s crazy. It will probably help to have your youngest back in school. All it takes is a few days off work to lose track of whats and whens. Glad you remembered and congratulations on your new release. Perfect way to start the writing new year. Isn’t it, though? Perfect. I don’t think I’ve had a new year’s release before. Congratulations on your new release! What a gorgeous excerpt. And I know I already mentioned it on Twitter but I love the cover of this book. I lost track of the days as well. My husband took time off work to spend time with my son so I could write, so I've been lost in my fictional world the past couple days, as well as in the misty in-between times of Christmas and New Year! He just walked out the door to go to work and I have to re-join reality now! 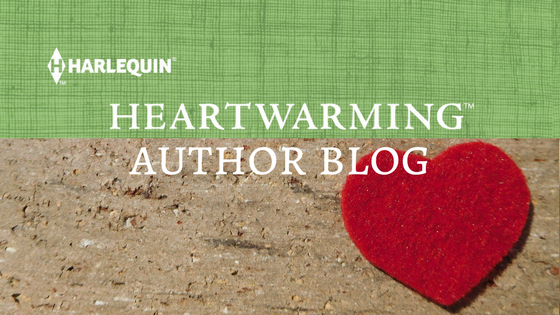 Thank you, Claire, about the excerpt and the cover. I’m happy to share my confusion over the days of this season. Good luck getting back in the writing groove. The story sounds so good. I'm saving it for an upcoming plane ride. It's sure to make the time go faster. Happy New Year! Up, up and away, Beth. Hope you enjoy the book. Congratulations on your new release! Hi Leigh! I'm off too and sorry I'm late. I am super excited to read this one. I've loved the other Kansas Cowboy stories!